We are really excited to be running this NEW guided walk. Derwent Water is one of the most beautiful lakes in the Lake District bordered by picturesque peaks and magnificent scenery. 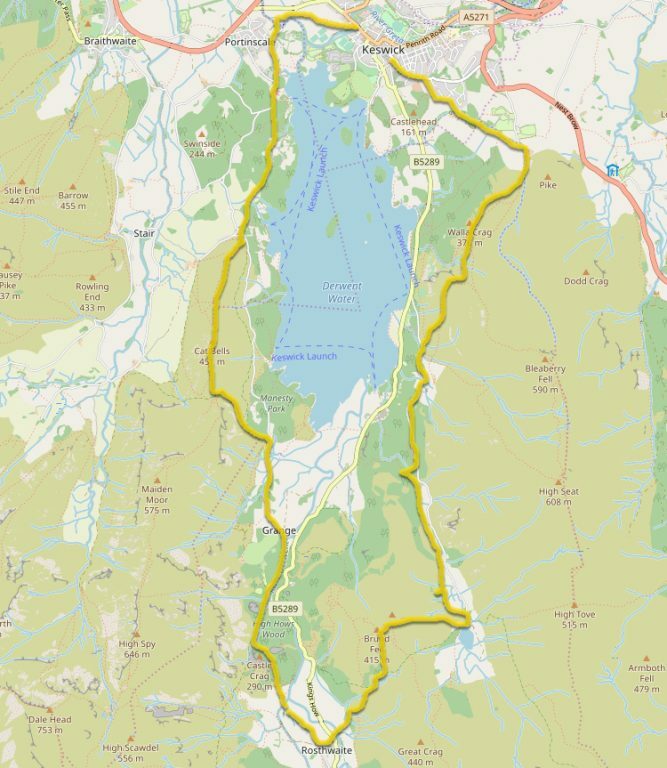 If we were going to organise a guided walk around Derwent Water then we had to do it justice and we had to create a route that showcases the very best of this beautiful area. And we have certainly done that! The route is simply amazing. The views are stunning. 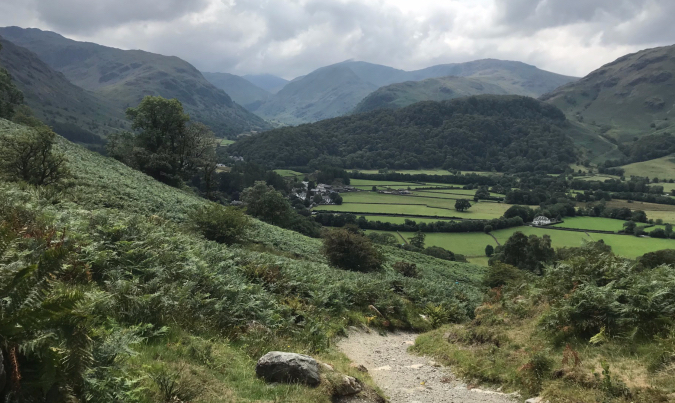 And at 16-miles, it’s a walk that will challenge you too, giving you a full-day walking experience in the Lake District. Below are 7 of the best highlights of this walk that we hope will whet your appetite for an adventure around Derwent Water. Situated on the western shore of Derwent Water is Catbells (or Cat Bells). A shapely summit which catches everyone’s attention who visits Derwent Water and Keswick. This is our first highlight of the day as we walk to the summit of Catbells and enjoy breathtaking views over Derwent Water and the surrounding fells. It’s the toughest climb of the day but we promise you that the reward is well worth the effort. 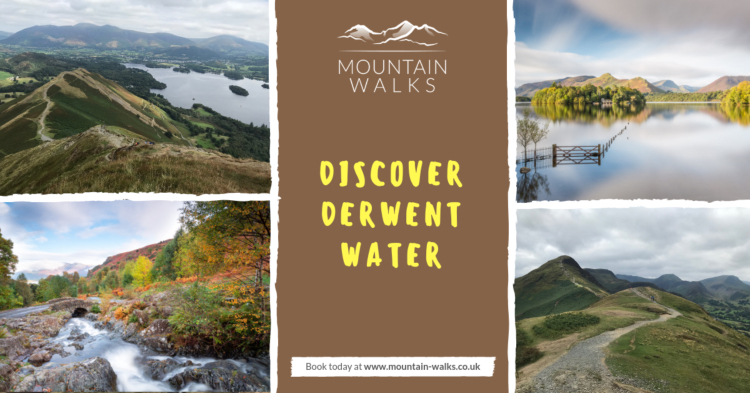 Find out more and book at…Discover Derwent Water. Grange in Borrowdale is a small village to the south of Derwent Water where we stop to make good use of the excellent tea rooms. 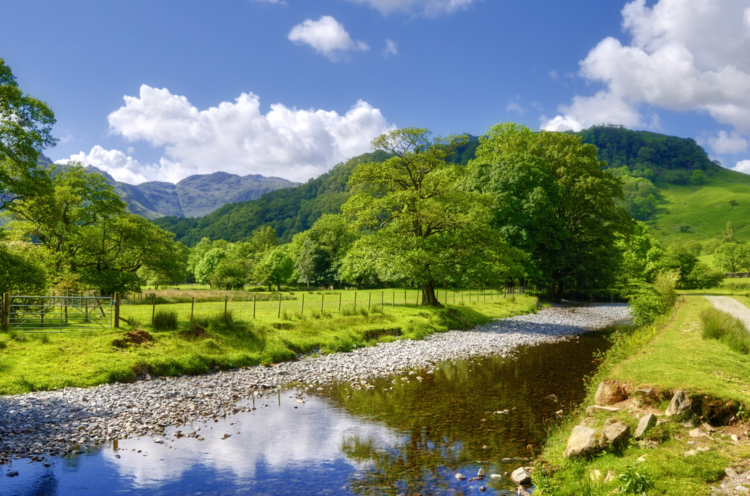 A lower level walk follows the River Derwent through woodland, past Castle Crag and to Rosthwaite. After some flat walking, it is time to start climbing again! Grange Fell is a small summit in the Borrowdale Valley but with big views. From the summit, you can see over to the Scafell range, the Newlands Valley peaks and of course beautiful views of Derwent Water. The summit is always quiet and a great place to explore and take even more photos of the beautiful scenery. Watendlath is a hamlet to the east of Grange Fell. 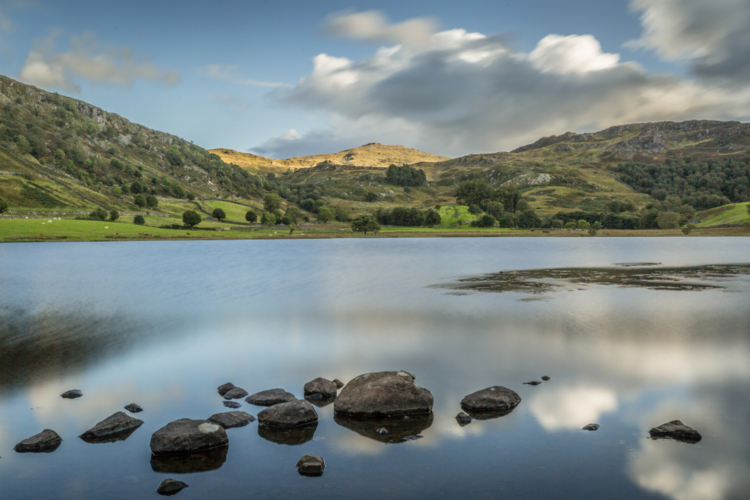 The tarn is the perfect place to sit, relax and have a break. There is a small tea room which I’m sure we will all make good use of. Our route then follows Watendlath Beck towards Derwent Water, Ashness Wood and Surprise View. One of the best views in the Lake District. From Surprise View, you can look out over the whole of Derwent Water and the surrounding fells. On a clear day, you can see Bassenthwaite Lake, the Skiddaw range and the distant shores of Scotland. We love it here and we guarantee you will too. 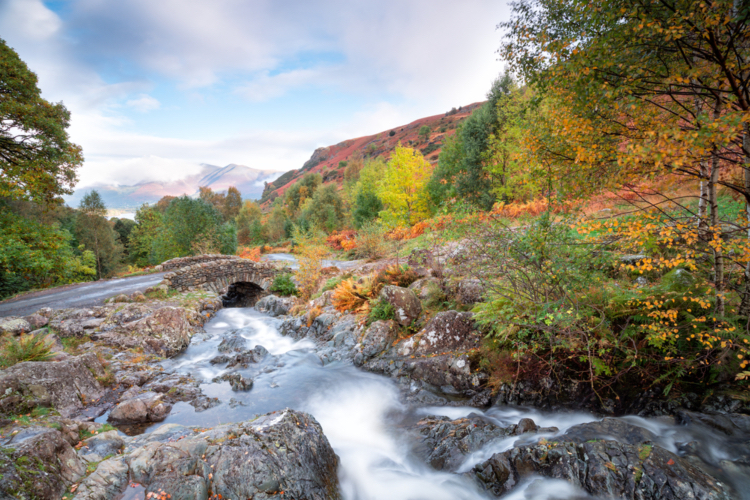 Just down from Surprise View is perhaps the most photographed bridge in the Lake District. This old packhorse bridge is a tourist hotspot and a beautiful place to stop, relax and prepare for the final climb to Walla Crag. Walla Crag is our final highlight of this tour of Derwent Water, but what a grand finale. It’s a short climb from Ashness Bridge but the views across Derwent Water make the effort worthwhile. You could sit here for hours and enjoy the views. 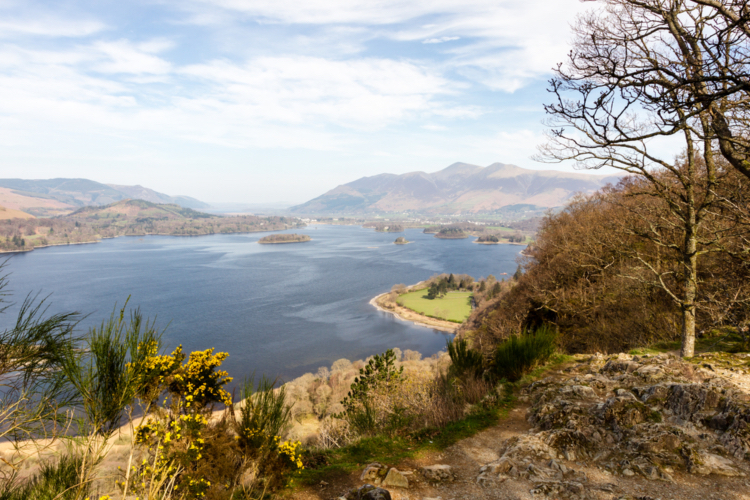 From Walla Crag we head back to Keswick and to enjoy a drink or two, and relax after completing this epic 16-mile tour of Derwent water. There will be a few achy legs but what a day it will have been. If you would like to experience ALL these amazing views around Derwent Water then join one of our Discover Derwent Water and Borrowdale guided walks. We will be running several dates throughout the year. All our guided walks are professional led by our team, you will be in a small group (we don’t do big groups) and you will be looked after every step of the way. 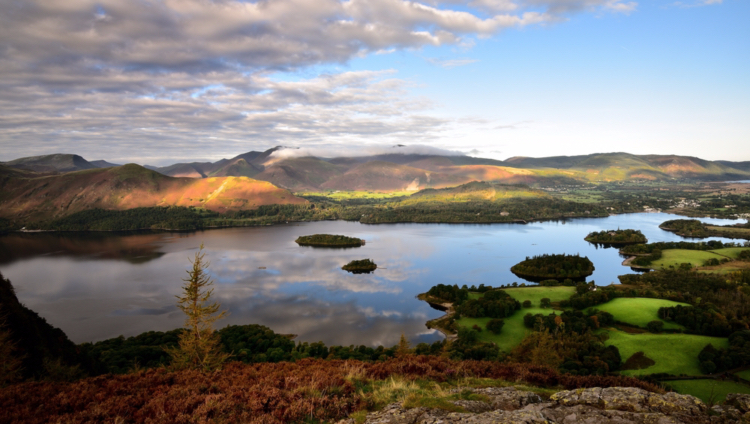 Give it a go, meet other like minded walkers, and enjoy a magical day exploring Derwent Water. We can’t wait and we look forward to seeing you.